Amy and Spot – C.S.P.C.A. 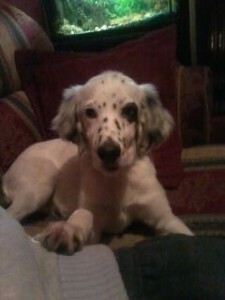 I got Spot the Setter, in November 2011 from the CSPCA in Mahon. He was 3 months old when I adopted him. His brother was adopted the next day by another family. He was a very quiet puppy when I brought him home but now he’s extremely lively and loves to run especially in the morning. He is really mischievous but I wouldn’t want him any other way!